This David Baker custom knife is engraved with a traditional scroll theme. It is surrounded by a running wheat border. This same border is engraved on the top of knife. 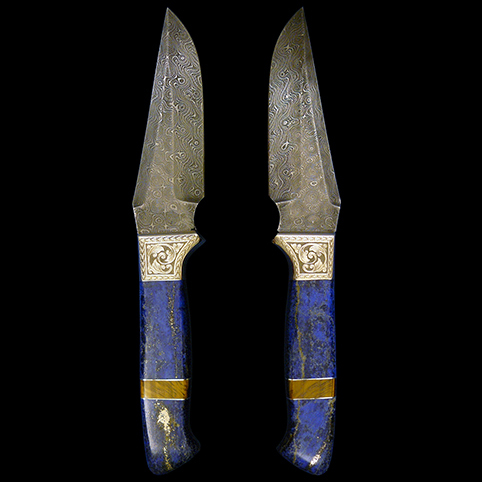 The handle is Lapis Lazuli. The blade is Damascus steel.